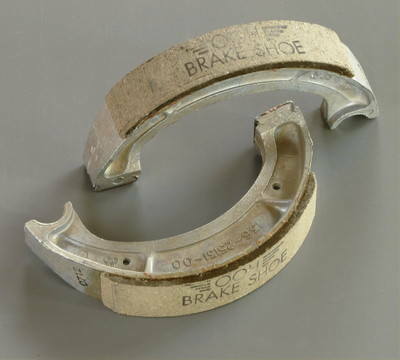 Pair of pattern rear drum brake shoes. Quality pair of pattern rear drum brake shoes to fit the Yamaha SR500, SR400, XT500, XT550, XT600, DT400, DT250, MX360, & MX250. Equivalent to Yamaha part 3GW-W253A-00-00.